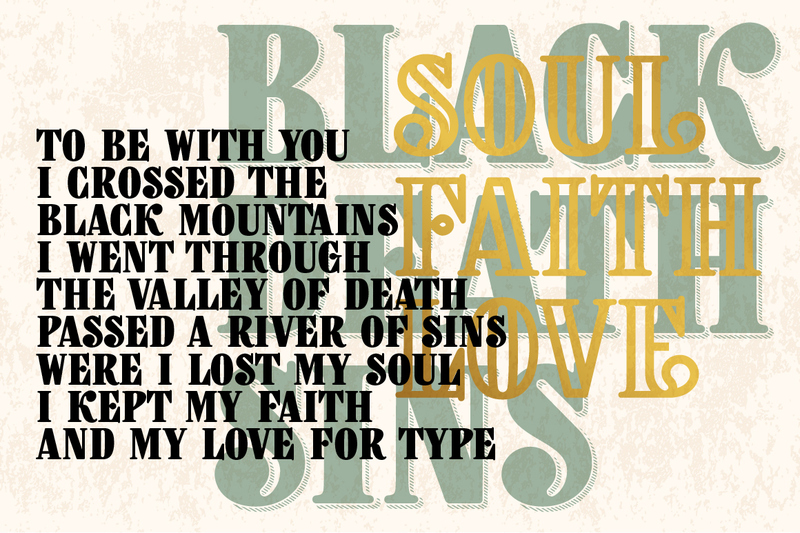 Goldpicker is a vintage retro styled typeface with a western look and feel. 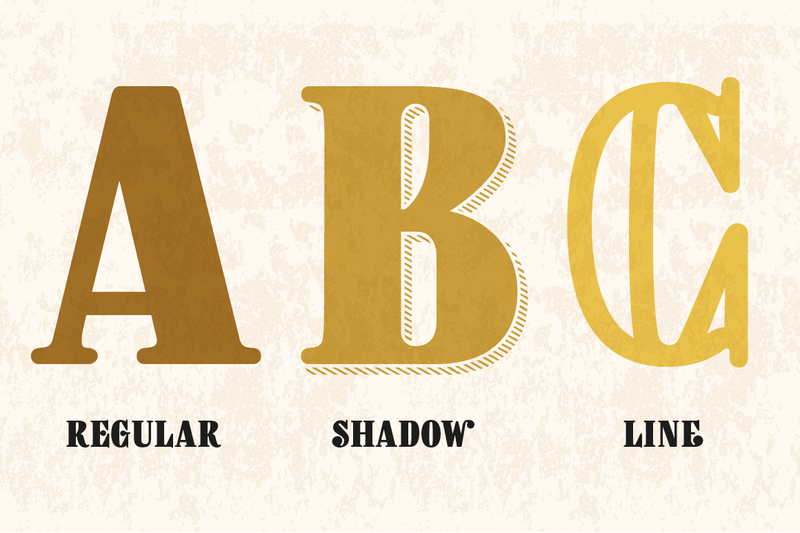 It refers to the American wood block type of the previous century. 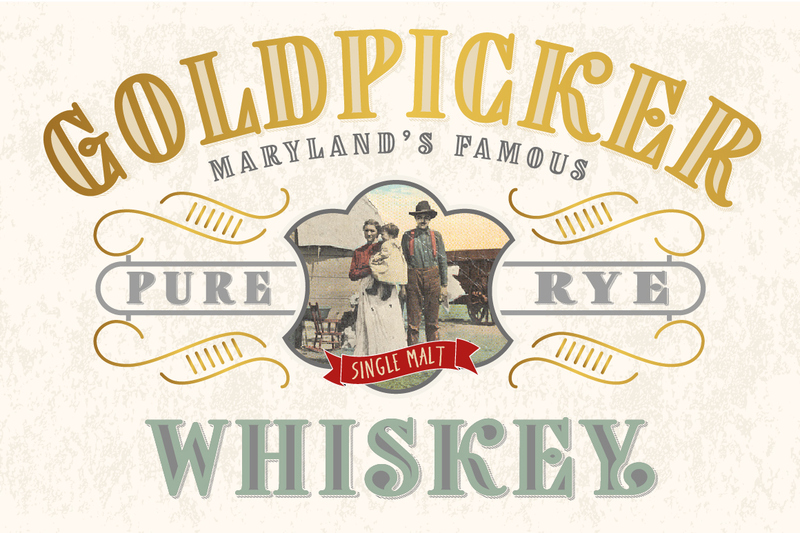 Goldpicker is very usefull for covers, poster, labels, t shirt and logo’s. 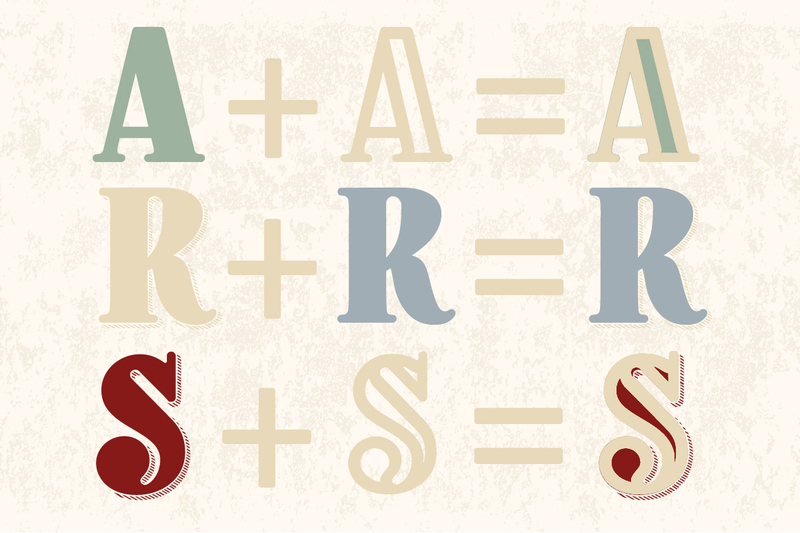 Each font comes with a set of Alternatives for characters C G Q S V W & and a set for endings for the characters A C E K L M N O R V W X Y Z. 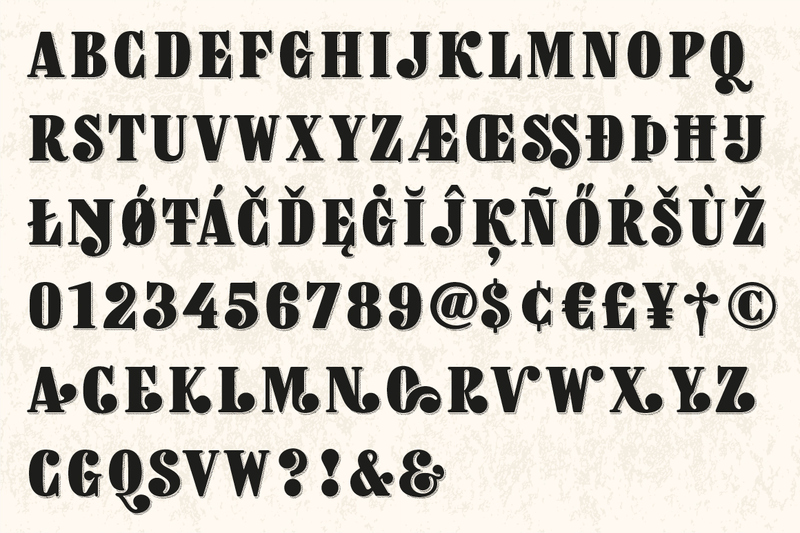 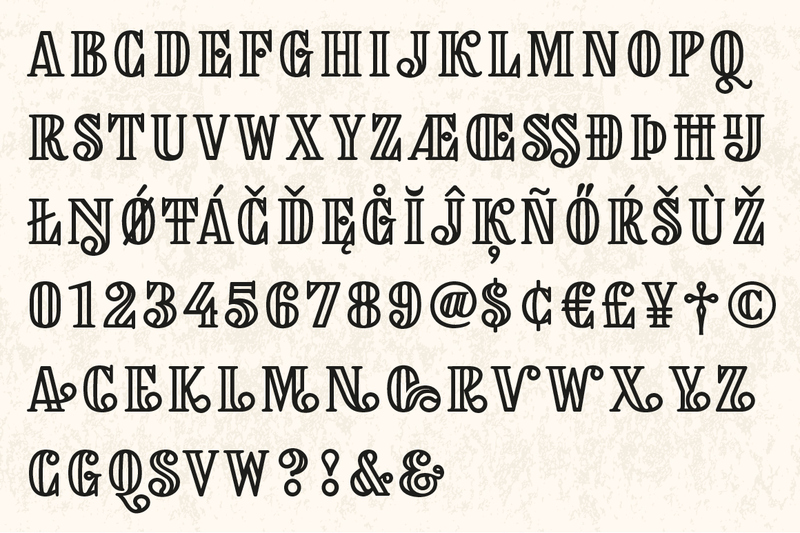 You can access the special characters using the Opentype options or the glyph panel. 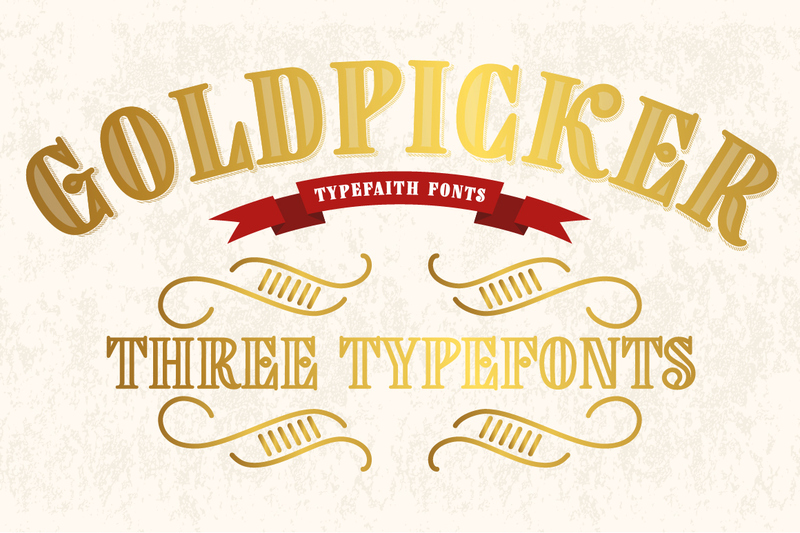 Goldpicker comes in three layering fonts.